PANAJI: Chief Minister Laxmikant Parsekar on Friday said the decision of his government to allow the Delta Corp’s wholly owned subsidiary – Delta Pleasure Cruise Company – to operate its vessel, ‘MV Royale Flotel – Deltin Caravela’ should not be interpreted as the birth of a new offshore casino. “My government has not given birth to a new offshore casino,” he reiterated. Addressing a press conference, Parsekar, who also holds the home portfolio, however said that as per his information the particular vessel would be moved out of Mandovi river soon. 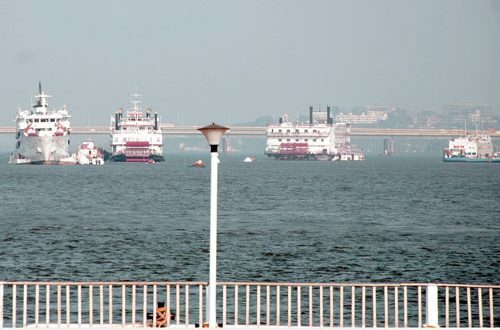 “The Mandovi river along the capital city has already been saturated with various vessels and therefore, the new vessel would be shifted elsewhere,” he maintained. 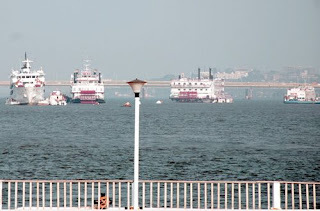 ‘MV Royale Flotel – Deltin Caravela’ is currently anchored in Mandovi river along Ribandar. We have just renewed the already existing licence,” he stated, pointing out that it would not be proper on the part of the government to obstruct a project, in which someone has invested lot of money. Parsekar also said that had the government refused to renew the particular licence, its owner would have approached the court of law and put his government in an embarrassing position.